Book Daniel Kraft as a keynote speaker. Daniel Kraft is a Stanford and Harvard trained physician-scientist, inventor, entrepreneur, and innovator. 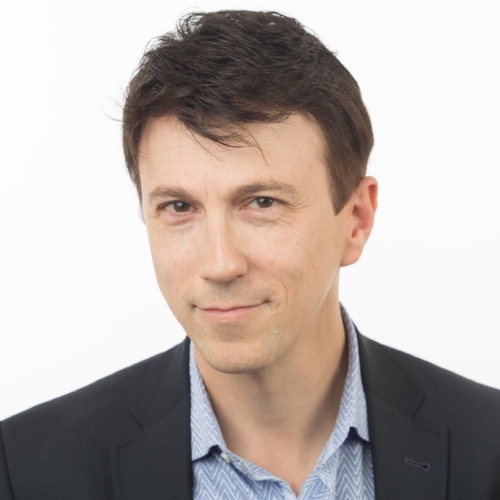 For more information on technology and healthcare speaker Daniel Kraft, contact VBQ Speakers founding agent Leo von Bülow-Quirk on leo@vbqspeakers.com or 0044 7833 727090. Daniel Kraft is a Stanford and Harvard trained physician-scientist, inventor, entrepreneur, and innovator. With over 25 years' experience in clinical practice, biomedical research and healthcare innovation, Daniel has chaired the Medicine for Singularity University since its inception in 2008, and is the Founder and Chair of Exponential Medicine, a programme that explores convergent, rapidly developing technologies and their potential in biomedicine and healthcare. haematology, oncology and bone marrow transplantation at Stanford. He has multiple scientific publications and medical device, immunology and stem cell related patents through faculty positions with Stanford University School of Medicine and as clinical faculty for the paediatric bone marrow transplantation service at University of California San Francisco. cell derived immunotherapies for cancer, bioengineering human T-cell differentiation, and humanised animal models. His clinical work focuses on bone marrow/haematopoietic stem cell transplantation for malignant and non-malignant diseases in adults and children, medical devices to enable stem cell based regenerative medicine, including marrow derived stem cell harvesting, processing and delivery. He also implemented the first text-paging system at Stanford Hospital. Daniel is also the inventor of the MarrowMiner, an FDA-approved device for the minimally invasive harvest of bone marrow, and founded RegenMed Systems, a company developing technologies to enable adult stem cell based regenerative therapies. the Massachusetts and California Air National Guard as an officer and flight surgeon with F-15 & F-16 fighter Squadrons. He has conducted research on aerospace medicine that was published with NASA, with whom he was a finalist for astronaut selection. Advances in technology, from biomedicine and robotics to big data and machine learning, have the potential to revolutionise medicine. However, much of our thinking around healthcare is still stuck in the past. Daniel's energetic, humorous and inspiring talks demonstrate how we can harness new innovations to move from a reactive "sickcare" system, to one of proactive "healthcare".